Vernor Steffen Vinge ( /ˈvɜːrnərˈvɪndʒiː/ ( listen ); born October 2, 1944) is an American science fiction author and retired professor. He taught mathematics and computer science at San Diego State University. He is the originator of the technological singularity concept and perhaps the first to present a fictional "cyberspace". [ citation needed ] He has won the Hugo Award for his novels and novellas A Fire Upon the Deep (1992), A Deepness in the Sky (1999), Rainbows End (2006), Fast Times at Fairmont High (2002), and The Cookie Monster (2004). 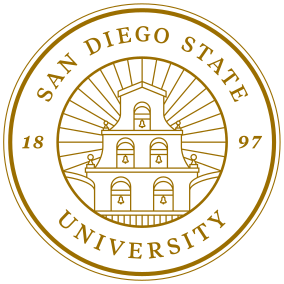 San Diego State University (SDSU) is a public research university in San Diego, California. Founded in 1897 as San Diego Normal School, it is the third-oldest university in the 23-member California State University (CSU). SDSU has a Fall 2016 student body of 34,688 and an alumni base of more than 280,000. The technological singularity is the hypothesis that the invention of artificial superintelligence (ASI) will abruptly trigger runaway technological growth, resulting in unfathomable changes to human civilization. "Bookworm, Run!" is a science fiction short story by American wrtier Vernor Vinge. His second published work of fiction, it appeared in Analog Science Fiction Science Fact in 1966, and was reprinted in True Names... and Other Dangers in 1987, and in 2001's The Collected Stories of Vernor Vinge. Orbit was an American long-running series of anthologies of new fiction edited by Damon Knight, often featuring work by such writers as Gene Wolfe, Joanna Russ, R. A. Lafferty, and Kate Wilhelm, who was married to Knight. The anthologies tended toward the avant-garde edge of science fiction, but by no means exclusively; occasionally the volumes would feature some nonfiction critical writing or humorous anecdotes by Knight. 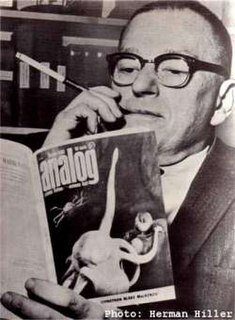 Inspired by Frederik Pohl's Star Science Fiction series, and in its turn an influence on Harlan Ellison's Dangerous Visions volumes and many others, it ran for over a decade and twenty-one volumes, not including a "Best-of" collection which covered the years 1966-1976. True Names is a 1981 science fiction novella by American writer Vernor Vinge, a seminal work of the cyberpunk genre. It is one of the earliest stories to present a fully fleshed-out concept of cyberspace, which would later be central to cyberpunk. The story also contains elements of transhumanism, anarchism, and even hints about The Singularity. Doomsday Book is a 1992 science fiction novel by American author Connie Willis. The novel won both the Hugo and Nebula Awards, and was shortlisted for other awards. The title of the book refers to the Domesday Book of 1086; Kivrin, the main character, says that her recording is "a record of life in the Middle Ages, which is what William the Conqueror's survey turned out to be." 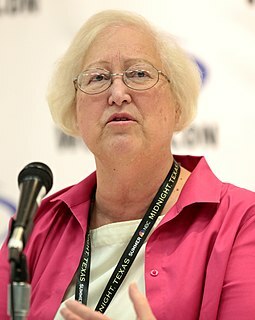 Constance Elaine Trimmer Willis, commonly known as Connie Willis, is an American science fiction and fantasy writer. She has won eleven Hugo Awards and seven Nebula Awards for particular works—more major awards than any other writer—most recently the "Best Novel" Hugo and Nebula Awards for Blackout/All Clear (2010). She was inducted by the Science Fiction Hall of Fame in 2009 and the Science Fiction Writers of America named her its 28th SFWA Grand Master in 2011. A Fire Upon the Deep is a 1992 science fiction novel by American writer Vernor Vinge, a space opera involving superhuman intelligences, aliens, variable physics, space battles, love, betrayal, genocide, and a conversation medium resembling Usenet. A Fire Upon the Deep won the Hugo Award in 1993, sharing it with Doomsday Book by Connie Willis. The Cookie Monster is a science fiction novella by American writer Vernor Vinge. It was first published in the October 2003 issue of Analog. Rainbows End is a 2006 science fiction novel by Vernor Vinge. It was awarded the 2007 Hugo Award for Best Novel. The book is set in San Diego, California, in 2025, in a variation of the fictional world Vinge explored in his 2002 Hugo-winning novella "Fast Times at Fairmont High" and 2004's "Synthetic Serendipity". Vinge has tentative plans for a sequel, picking up some of the loose threads left at the end of the novel. The many technological advances depicted in the novel suggest that the world is undergoing ever-increasing change, following the technological singularity, a recurring subject in Vinge's fiction and nonfiction writing. Joan D. Vinge is an American science fiction author. She is known for such works as her Hugo Award-winning novel The Snow Queen and its sequels, her series about the telepath named Cat, and her Heaven's Chronicles books. A Deepness in the Sky is a science fiction novel by American writer Vernor Vinge. Published in 1999, the novel is a loose prequel to his earlier novel A Fire Upon the Deep (1992). The title is coined by one of the story's main characters in a debate, in a reference to the hibernating habits of his species and to the vastness of space. The Peace War is a science fiction novel by American writer Vernor Vinge, about authoritarianism and technological progress. It was first published as a serial in Analog in 1984, and then appeared in book form shortly afterward. It was nominated for the Hugo Award for Best Novel in 1985. Its sequels are "The Ungoverned", which was a novella published in his collection True Names and Other Dangers, and the novel Marooned in Realtime. The Peace War and Marooned in Realtime were collected in Across Realtime. Marooned in Realtime is a 1986 murder mystery and time-travel science fiction novel by American writer Vernor Vinge, about a small, time-displaced group of people who may be the only survivors of a technological singularity or alien invasion. It is the sequel to the novel The Peace War (1984) and the novella The Ungoverned (1985). Both novels and the novella were collected in Across Realtime. John E. Stith is an American science fiction and mystery author, known for the scientific rigor he brings to adventure and mystery stories. "The Ungoverned" is a 1985 science fiction novella by American writer Vernor Vinge, set between his novels The Peace War and Marooned in Realtime. It was first published in Far Frontiers, Volume III, first collected in True Names and Other Dangers, and later published in the 1991 edition of the omnibus Across Realtime. The novella is a direct exploration of the concept of privately funded decentralized defense in the absence of a State, as described by Gustave de Molinari in "The Production of Security". The 58th World Science Fiction Convention (Worldcon) was Chicon 2000, which was held in Chicago, United States from August 31 through September 4, 2000. The venues for 58th Worldcon were Hyatt Regency Chicago, Sofitel Hotel and Fairmont Hotel. The organizing committee was chaired by Tom Veal. 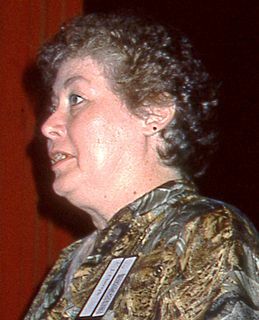 American writer C. J. Cherryh's career began with publication of her first books in 1976, Gate of Ivrel and Brothers of Earth. She has been a prolific science fiction and fantasy author since then, publishing over 80 novels, short-story compilations, with continuing production as her blog attests. Ms. Cherryh has received the Hugo and Locus Awards for some of her novels. The Witling is a 1976 science fiction novel by Vernor Vinge, about the planet Giri, whose humanoid inhabitants, the Azhiri, are able to teleport. This ability varies from person to person: those without the talent at all are called witlings and are the lowest class of person in Azhiri society. ConJose was the 60th World Science Fiction Convention, held in San Jose, California on August 29-September 2, 2002. The convention was held in the McEnery Convention Center, as well as the Fairmont San Jose and the Hilton San Jose & Towers. ConJose was co-chaired by Tom Whitmore and Kevin Standlee and organized under the auspices of San Francisco Science Fiction Conventions. Grimm's World is a 1969 science fiction novel by Vernor Vinge. Tatja Grimm's World is a 1978 science fiction novel by American author Vernor Vinge. ↑ Vinge, Vernor (1976). The witling. Daw Books = sf. DAW Books Inc, Copyright Paperback Collection (Library of Congress). New York: DAW Books. ↑ Saffo, Paul (1990), "Consensual Realities in Cyberspace", in Denning, Peter J., Computers Under Attack: Intruders, Worms, and Viruses, New York, NY: ACM, pp. 416–20, doi:10.1145/102616.102644, ISBN 0-201-53067-8 . Revised and expansed from "Viewpoint", Communications of the ACM 32 (6): 664–65, 1989,doi : 10.1145/63526.315953. 1 2 "1985 Award Winners & Nominees". Worlds Without End. Retrieved 2010-08-12. 1 2 "1987 Award Winners & Nominees". Worlds Without End. Retrieved 2010-08-12. 1 2 3 "1993 Award Winners & Nominees". Worlds Without End. Retrieved 2010-08-12. 1 2 3 4 "2000 Award Winners & Nominees". Worlds Without End. Retrieved 2010-08-12. ↑ "2002 Award Winners & Nominees". Worlds Without End. Retrieved 2010-08-12. ↑ "2004 Award Winners & Nominees". Worlds Without End. Retrieved 2010-08-12. 1 2 3 "2007 Award Winners & Nominees". Worlds Without End. Retrieved 2010-08-12. ↑ Interview with Vernor Vinge, Norwescon website, October 12, 2009. ↑ "Vernor Vinge's sequel to A Fire Upon The Deep coming in October!". ↑ "Guests of Honor". ConJosé (the 2002 Worldcon). ↑ "1992 Award Winners & Nominees". Worlds Without End. Retrieved 2010-08-12. ↑ "1999 Award Winners & Nominees". Worlds Without End. Retrieved 2010-08-12. ↑ "The Coming Technological Singularity: How to Survive in the Post-Human Era". Whole Earth Review (Winter 1993). 1993. ↑ Vinge, Vernor (March 23, 2006). "2020 Computing: The creativity machine". Nature. 440 (411). Bibcode:2006Natur.440..411V. doi:10.1038/440411a. ISSN 0028-0836. PMID 16554782 . Retrieved February 14, 2017. ↑ Vinge, Vernor (June 30, 2004). "Synthetic Serendipity". IEEE Spectrum. ↑ Vinge, Vernor (26 February 2015). "BFF's first adventure". Nature. 518 (7540): 568. Bibcode:2015Natur.518..568V. doi:10.1038/518568a. ↑ Vinge, Vernor (10 August 2017). "Legale". Nature. 548 (7666): 254. Bibcode:2017Natur.548..254V. doi:10.1038/548254a. Hafner, Katie (August 2, 2001). "A Scientist's Art: Computer Fiction". The New York Times. p. G1. "2020 Computing: The creativity machine", from Nature magazine, 23 March 2006. Vernor Vinge's keynote address at the 2006 Austin Games Conference.